Combine our sensors, displays and controllers to create full control systems. 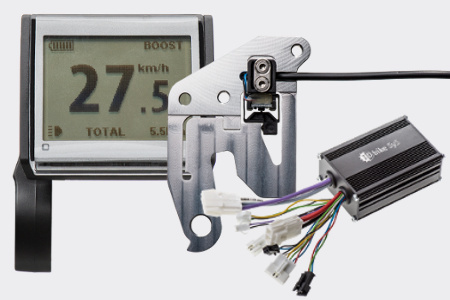 All components work together seamlessly, with software that guarantees a smooth functioning drive system. Our complete systems comply with EN15194. 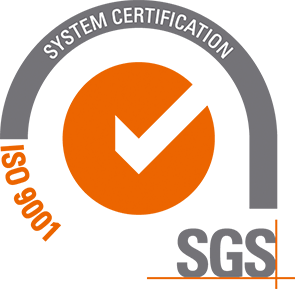 Why use our complete systems? We tested the main available systems on the market (i.e. Bosch, Panasonic, Yamaha) and compared them to our own systems. The outcomes? E-bikes using our systems perform better, especially compared to systems using centre motors, like Bosch. At the same time price-quality relationship is much better. Last but not least, our systems are much more flexible in the application than the competition, because we develop and adapt our systems in collaboration with our customers, to meet your requirements. Start in a safe and controlled manner, in all riding modes (eco to boost). Be intuitive, through a swift and reactive response on the cyclist's pedal torque input. 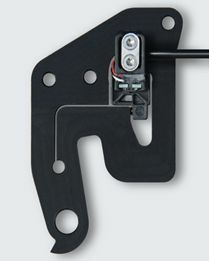 The pedal support is obvious and natural like power steering. Perfect and harmonious synergy between man and machine, riding your bike without worries and without thinking. Be repeatable and reproducible under all circumstances, with ride predictability and stability. IDbike has lots of experience with software development for electric bicycles. Software has a big influence on the riding feeling. It can make or break the bike. 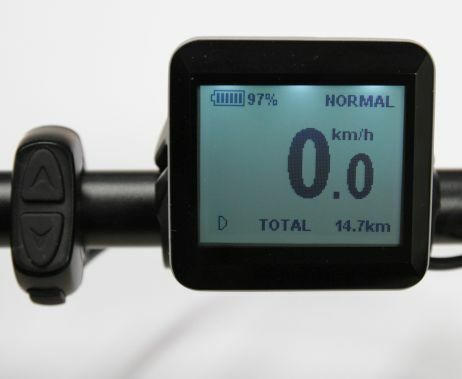 With IDbike's software the bike will have the optimal response and support level, resulting in a great feeling and a smooth ride! Why use a hub drive system? With the entrance of the Bosch mid motor concept in the market, many companies and consumers are convinced that this is a superior system compared to hub drives. The mid motor drive has some advantages, which especially are valid for more sportive bikes like mountainbikes. The middle motor has a better performance on steep hills, and gives the bike a low centre of gravity. Also the cabling is reduced due to component integration, so the system is potentially more reliable. Here you can find an interview with a cyclist who decided to move to a Stromer hub motor system. Obviously IDbike has choosen to focus on hub drives. We are convinced of a bright future for hub drive applications, so our systems have been developed especially to optimise the performance of bicycles with a hub drive.